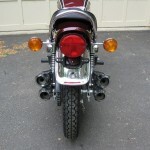 Restored 1975 Kawasaki Z1B Motorcycle. 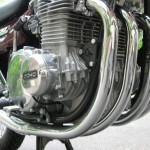 This Kawasaki was restored by its owner. 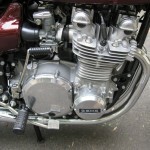 The original engine was completely rebuilt with all new seals, piston rings and valve guides. The cam chain rollers and tensioners were replaced. The original tank, tail and side panels were painted. The frame was repainted to look original. 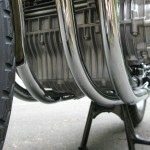 A new set of Kawasaki OEM stamped exhausts were sourced and fitted. 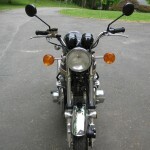 New turn signals were fitted. 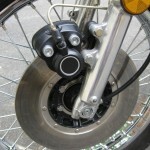 New pattern rear shocks were fitted along with the original reflectors. The foot rubbers were replaced. The chain and sprockets were replaced. 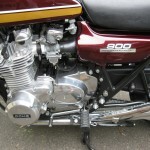 The carburettors were rebuilt and balanced. The wheels were rebuilt with new DID wheel rims and stainless spokes. 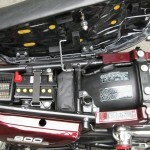 Every nut and bolt was either replaced with the correct type or re-plated. 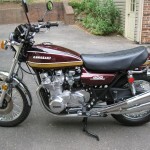 A professionally restored Kawasaki Z1B Motorcycle. 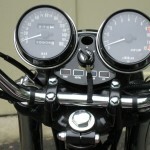 Kawasaki Z1B – 1975 For Sale or Wanted? If you're looking for the perfect Kawasaki Z1B – 1975 for sale then take a look at the hundreds of restored classic motorcycles listed on our extensive Motorcycles For Sale pages. 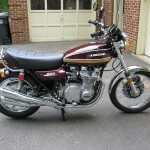 We regularly feature very nice restored Kawasaki Z1B – 1975 bikes for sale. 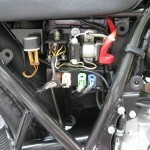 Spares and Parts for your Kawasaki Z1B – 1975? Workshop Manual for your Kawasaki Z1B – 1975? This description and the photos are being used in Craigslist phishing scams throughout the country. Beware!